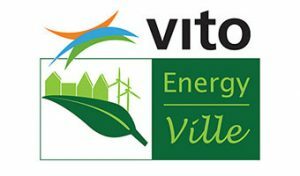 VITO, the Flemish Institute for Technological Research (Belgium) and member of knowledge centre EnergyVille (www.energyville.be), is the largest Flemish technological research organization with a multi-disciplinary team working on sustainable solutions for different research domains like materials, energy and environment. VITO supplies innovative and high-quality solutions, whereby large and small companies can gain a competitive advantage, and advises industry and governments on determining their policy for the future. VITO has more than 700 highly-qualified employees from various specialisms and collaborates with sector federations and their research centres, universities and other European research institutes. In 2014, VITO has a total budget of about 135 million euros. modelling and optimization; and the energy market research domain. smart grids and advanced heat networks. name, in close cooperation with local, regional and international partners. and thermal energy storage, power electronics, smart appliances, etc. ).